A steel crown that holds a crystal. Simple, elegant and especially not too big. The crown is approximately 4 mm in diameter and therefore a very comfortable size. 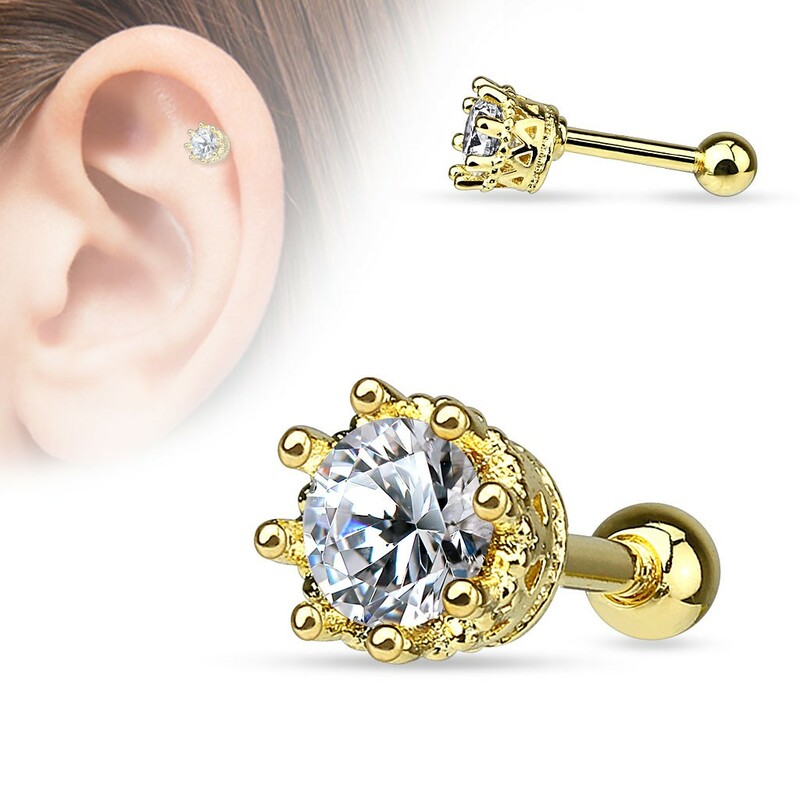 Although the crown has a high level of detail from the sides you are unlikely to see that while wearing this piercing. What is clearly visible is the crystal in the middle. Especially the clear crystal known how to create strong sparkles. You'll find those also in the gold plated and rose gold plated version. If you choose for a steel versions there are three colours to choose from. All the three colours have a soft look that is a bit less bright than on the product image. This goes double for the tanzanite (light purple) crystal. Good quality product, looks just like the photo. Went through my helix piercing hole easily though the ball on the back is very very small making it hard to screw on. I dropped it several times, but its nice and tight on once it is on properly.